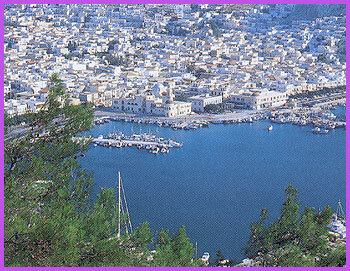 Kalymnos island is widely known as "the island of the sponge divers". Departure from Kos at 10:00. About 1½ hour boat trip by a beautiful motor-sailing boat. 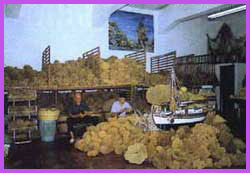 Visit to a sponge factory, demonstration of manufacture of sponges. Walk along the harbour in picturesque town of Pothia. Luncheon in a cosy tavern or BBQ on the boat in a bay of the small island of Plati. By boat to Pserimos, known as "the island of fish mongers", for swimming sunbathing ice cream or just a coffee. Return to Kos at about 17:30.